Chris Gorman played the drums for one of my favorite bands, Belly, in the 1990s behind lead singer Tanya Donelly. (His brother, Tom, played guitar.) Belly produced only two albums, Star (1993) and King (1995), and Gorman’s photographs were used for the album art on both. The splattery, scratchy black-and-white art looks like digitally remastered photography with a touch of 1950s-style pen-and-ink illustration, rolling over the pages with a few areas of turquoise or rose washes. Gorman’s spare words, in a large, shadowy font, and the images of girl, surfboard and ocean feel united organically, as simultaneously exhilarating and meditative as surfing itself. The Gorman brothers operate a photography studio in New York, and some of their work provides an evocative look at surfing and skateboard culture. Although the members of Belly grew up in Newport, Rhode Island, the band was based out of Boston, so Gorman is a perfect fit for my anthology of Boston drummer literature. 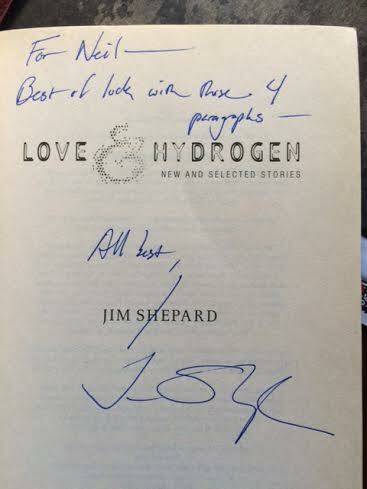 I had made the mistake of telling Jim Shepard that I was a writer. He had just given a reading in South Hadley, Massachusetts, following the publication of his novel, Project X. This would have been in 2004. Only a handful of people had showed up, including my now-wife and myself. We bought Project X and H. got her copy signed. I brought along my (used) copy of Love and Hydrogen. Authors must love it when you give them a used book to sign, with the price still penciled on the title page. Project X was a novel about teenagers planning a Columbine-style attack on their high school. He read sections of it to us as we sat around him in a circle, storytime-style. A lot of the questions had to do with Columbine and the cottage industry of school-shooting literature that followed, such as Lionel Shriver’s We Need to Talk About Kevin. The conversation was slowing down and I hadn’t asked anything, so I raised my hand and asked what advice he would give to someone who aspired to be a writer. Then, almost immediately, I apologized, admitting it was a stupid (read: hackneyed, empty) question, one he must have been tired of answering. Then he asked why I was asking it. “Are you a writer?” I think he said then that I looked like a writer, I don’t remember. And I collapsed into a pathetic show of apology, primarily to the six or so other people who had showed up; they had not come to hear about me. 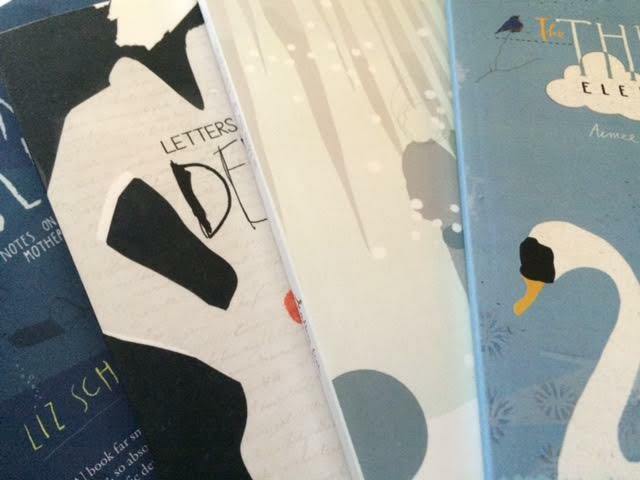 I said yes, I was a writer, only I hadn’t published anything. I hadn’t really written anything, either, unless you counted the four paragraphs I nursed like a lukewarm beer because I was afraid of moving forward. And I don’t remember any of what he said after that, what advice he gave to dreamers like me. Why do we ask writers such things, if we aren’t going to remember what they say? But he used it as he signed my book. “Best of luck with those 4 paragraphs,” he wrote. I picked up Love and Hydrogen again recently because I remembered a story I had loved about football players, and thinking how the voice, layered in sarcasm and ruthlessness and defeat, was similar to what I tried to achieve in my Little League stories. There’s a football story in Love and Hydrogen (“Messiah”), but it turns out that the one I had been thinking of was “Trample the Dead, Hurdle the Weak,” which was included in Shepard’s later collection Like You’d Understand, Anyway and which I must have read in Harper’s back when I subscribed. You are currently viewing the archives for June, 2015 at Neil Serven.